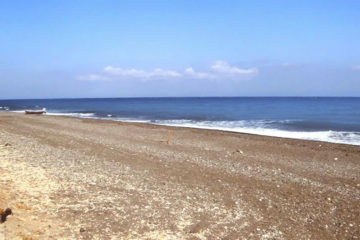 Monolithos is a long beach with black sand and shallow waters at the east side of the island, close to the airport. It is ideal for families with young children and relatively quiet. There are no big waves even when there is an east wind, due to the very shallow water. 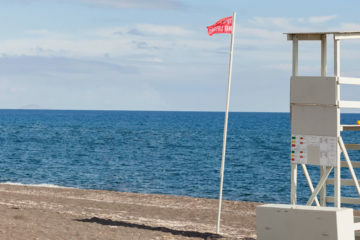 There are parts of the beach with facilities like sunbeds, umbrellas, showers and water sports and other parts more quiet. There are some trees grown up directly on the sand that provide natural shade. 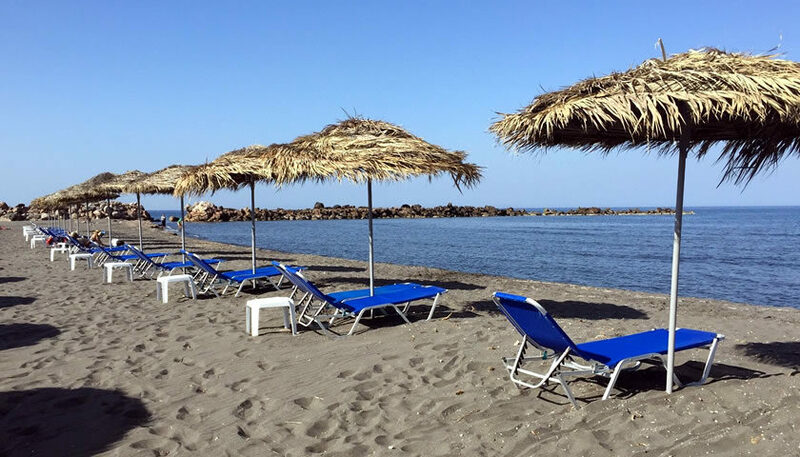 Monolithos beach is ideal for families with shallow waters and a couple of restaurants serving local food for your lunch! You can have lunch or dinner in one of the restaurants serving fresh fish and local cuisine. 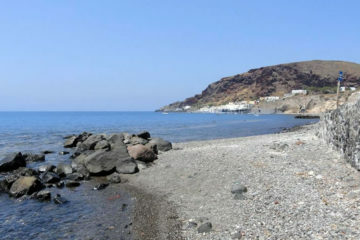 Monolithos is located less than 4km north to Kamari village and about 5km from Fira. Access by car and parking is easy and you can also reach the beach by public buses.